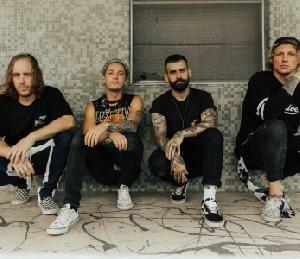 Ten years into their career as a band, and Phoenix-based alternative outfit The Word Alive are still on an upward trajectory. The band released their fifth studio album Violent Noise on Fearless Records earlier in 2018 featuring single “Why Am I Like This?”. The four-piece, consisting of Telle Smith, Tony Pizzuti, Zack Hansen, and Matt Horn – continue to take their live show of visceral metallic power and entrancing emotionality across the world with their non-stop touring schedule. Recently, the band toured Asia, including an appearance at the League of Legends World Championship with a performance of the anthem “Rise”. Even after a decade, The Word Alive shows no signs of slowing down with many exciting announcements on the horizon for 2019.